Vancouver, BC – Summer is right around the corner which means it is time for the return of Vancouver’s most beloved family entertainment attraction! 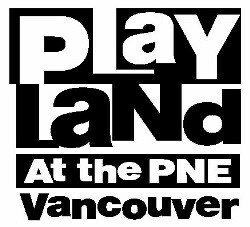 Playland Amusement Park at the PNE is set to open its gates to the public for the 2017 season on May 6, which will include the debut of three new family rides to the park. At a $1.8-million combined value, this is a significant investment for the park. When the gates open on Saturday May 6 at 10 am, families can spin, peddle, and whirl on three beautiful rides crafted in Italy by world renowned ride manufacturers. Bug Whirled, manufactured by SBF -Visa, Flutterbye manufactured by Zamperla and Dizzy Drop manufactured by Moser Ride Inc. Both Flutterbye and Bug Whirled have signs and décor designed and built by Chilliwack company, Imagination Corporation, and will undoubtedly wow Playland’s youngest thrill seekers. Not to be missed are British Columbia’s favourite and most thrilling amusement park rides, including the heart-stopping Hellevator, the wet-and-wild Flume, and the iconic Wooden Roller Coaster. Another favourite for the advanced thrill seeker is the always terrifying extreme pendulum ride, The Beast. The Beast has a maximum height of over 125 feet, (nearly 12 storeys), and reaches top speeds of over 90 kilometres per hour and more than five g’s of force. With multi-directional seating, The Beast features seats that face both inside and out, offering different riding experiences. Playland’s favorite food vendors have returned, including Triple-O’s, Fun Dunkers Donut Stands, Pizza Pizza, Cheese Please, Colossal Cones, and What the Fudge. New to this year’s park is Beaver Tails which will be serving Canadian classics such as poutine, and of course beaver tails. Introduced at last year’s Fair, Gone Fishing will make its Playland debut, serving up Ocean Wise fish. Guests can expect hand-dipped battered fish, tacos, wild salmon and more! Kids Playce is the perfect setting for families looking to spend some activity time in a kid-friendly environment. Little ones should also keep their eyes out for Playland’s beloved mascot KC Bear, who will be at the park everyday meeting guests and taking pictures. Once you’re at the park, don’t forget to try your hand at the famous Games Midway, with a brand-new and exciting game Bombs Away. For the 19+ crowds, Playland is excited to announce that every Friday during the month of July the park will be hosting a series of adult only evenings, stay tuned for further details! Playland passes are currently available online and will give families access to over 30 rides and attractions, including the three new family rides! PLUS, this year, Pacific Adventure Golf is now included FREE with admission. For the beginners and experts that have always wanted to test their skills at mountain climbing, the parks Climbing Wall is now FREE with admission all-season long. For more information, including ticket prices and hours of operation throughout the summer, please visit: www.pne.ca.